This joint exchange program is designed to give students a better understanding of comparative government and international policy. Through this semester exchange between two prominent research universities, AYSPS undergraduate and graduate students will gain an awareness of international policy and practice, the tools necessary for work within foreign cultures, and the managerial skills needed to function effectively in a global setting. In learning about British institutions, participants will also learn about the UK and its role within the European Union. The program has a one-semester duration, and occurs in the fall or spring. Participants will travel to Northumbria University, where they will take courses in the School of Arts and Sciences and will reap the benefits of living and learning in a new cultural setting. Participation permits Georgia State students to establish a collegiate relationship with the faculty and students at Northumbria University, some of whom will travel to Georgia State the following term. Northumbria University is located in Newcastle upon Tyne, in the north-east of England.Situated near the Scottish border, it is just a few miles inland from the North Sea. The city boasts a rich history, dating back to the Roman Empire, and is alive today with a vibrant urban culture. It is one of the finest classical cities in Europe, with large areas of the city center made up of buildings known for their architectural and historical significance. For the urban student, Newcastle offers a great variety of restaurants, pubs, clubs, theaters, festivals, sports, and music venues. The University is urban in nature and of similar size to Georgia State University. 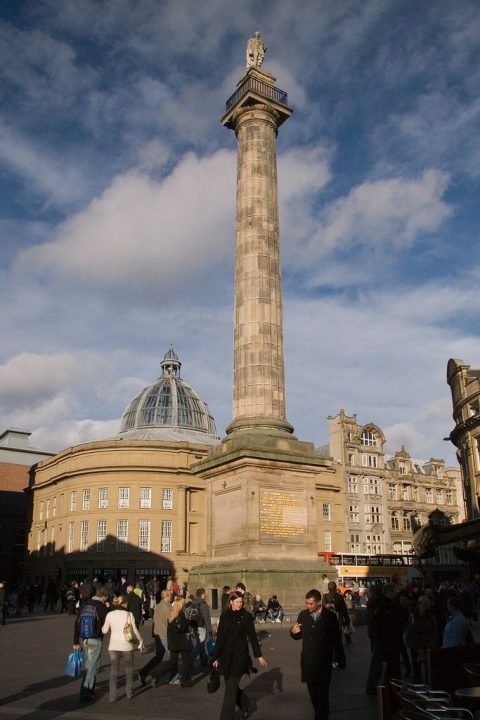 The University Campus is in the heart of the city of Newcastle, only a couple of minutes walk from the main shopping areas and leisure facilities. It is a wonderful place to be a student! The program is open to undergraduate and graduate students of the Andrew Young School of Policy Studies. Program size is limited and participation is contingent upon acceptance by the program director. Students will enroll in two to four modules of study at NU. Each of these modules converts to six to twelve hours of Georgia State University semester hours. Upon successful completion of these modules, students will be awarded 12 credit hours which may be applied to the elective requirements (not the core coursework) of their degree. Because of differences between the UK and US grading systems, NU courses for GSU students will be graded as pass/fail. Students may conduct a research internship with the Centre for Public Policy Research during the fall term or during a summer semester. The Centre for Public Policy is a large research center based at Northumbria University. The Center has received 7.5 million pounds in research grants in the last four years, including funds from the EU and UK governments. The Center specializes in research on cultural policy, education, urban and social regeneration, transport policy, equality and diversity, and families. Georgia State University students participating in the exchange program pay standard GSU tuition for the semester spent abroad. The tuition paid for this program is at the in–state tuition rate, regardless of the student’s state of permanent residence. Students are responsible for the payment of their travel, accommodation, and food expenses while abroad. Financial aid is available to help fund this study abroad program. Students are highly encouraged to apply for the Georgia State University International Education Fee (IEF) Study Abroad Scholarship Program. For more information on this and other scholarship opportunities, please view the study abroad scholarships mainpage or contact Study Abroad Programs, Office of International Affairs, (404)413-2529. Students wishing to apply must complete the program application on the GSU Study Abroad website or by clicking here. Participants in the program must have proof of current health and accident insurance that is valid abroad. Students must also submit any health documentation required by the United Kingdom. Students are also required to meet any UK Visa requirements. Students will be required to sign a Waiver of Liability/Indemnification Form in order to participate in the exchange program. Review this slideshow for information on the region, city, and school. Take a look at all Northumbria University has to offer! For general information on study abroad, including scholarships. For an array of tourist information and details about this great city! For information from the British Embassy about the UK, including travel and how to obtain a student visa.